Beth holds a Ph.D. in Educational Leadership and Policy Studies from University of Washington’s College of Education. Her research examines the quality and effects of professional learning opportunities aimed directly at the improvement of teaching and learning. In addition to her book, Teachers’ Professional Learning in the Context of High School Reform (2008, Stuttgart: Verlag Press), she has published articles on this and other professional development topics in School Administrator (2009), Journal of Staff Development (2009), and the American Educational Research Journal (2010). After completing her undergraduate degree at Wellesley College, Beth served in the Peace Corps in Mauritania, West Africa, and then began her teaching career as a middle school teacher in Columbus, Ohio. Most recently, Beth was the Associate Director for Teacher Leadership Programs at U.W.’s College of Education, where she designed and taught graduate coursework focused on leadership development and political advocacy for mid-career teachers. 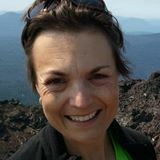 Currently she lives in California and teaches Education Policy for Teacher Leaders (EDLPS 579, Winter, online) which utilizes a wide range of Washington state policy professionals as guest experts.